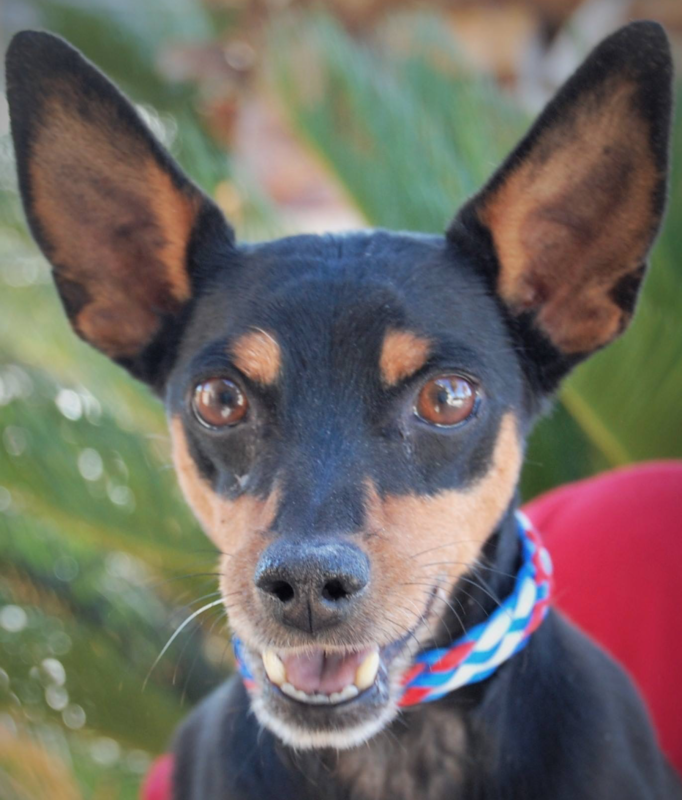 ***ADOPTED*** Our Pet Pick, General is a 5-year-old Miniature Pinscher and he’s looking for his forever home. This little Love Boat is a cutie and he’ll steal your heart. The General is very friendly and “runs a tight ship.” When he sees you, he pops up to attention. He loves meeting new people and hopes you will take him with you wherever you go. He does great with other dogs his size and is expected to be awesome with children. He takes very inexpensive daily medication for his heart. It doesn’t faze him in the least bit. Otherwise he is healthy and is expected to live a long and playful life. As always, please bring any other dogs and kids with on your meet and greet with (the) General. General will make his debut at 2 this afternoon, at Subaru of Las Vegas. They are located at 6455 W Roy Horn Way, Las Vegas, NV 89118. We will be streaming it on KXNT.com and on our Facebook page: KXNT Newsradio. When you adopt General, you will get a $25 gift certificate in doggie dollars from Subaru of Las Vegas to be spent on doggie goods at the accessories counter.